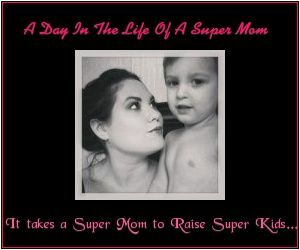 A Day in the Life of a Super Mom: A Mommy Blog: Get Your House Sparkling! Note: Please bear with with me until my laptop is repaired. Posting blogs, even with the Blogger App, is a very tedious task and I can't link Urls very easily. Just copy and paste the link into your browser's address bar. Well people, it's the weekend, and that means it's cleaning time for me. Most people wonder why I don't do all my major cleaning during the week. It's really because the week is always so busy. Between helping 3 kids with homework and making sure there's always something cooked for my brood, deep cleaning just isn't feasible. So I save it for Saturday and Sunday. When I have 3 extra kidsto recruit for cleaning duty. I've been reading up on some cleaning tips and they got me really excited and in the mood for a complete cleaning overhaul and organizing. With 4 kids, it's really impossible to keep my house spotless, but I can make it harder for them to mess up. That's where the organization comes in. So I'm gonna hit up a few thrift stores today for sime baskets and boxes to help with that. After looking for some new cleaning and organization ideas, here's what I'm planning for my oh- so- exciting weekend! 1.LAUNDRY: Instead of taking forever to sort out laundry (and this takes me forever), get a clothes basket for every member of the family. Have the kids put them in their room and assign one day a week for each persons laundry. If you have older kids, like me, show them how to do the laundry themselves! But if there's any bleaching to be done make sure you handle that yourself. After the clothes are finoshed drying, show your kids how to fold them and put them away. Not only does this save you some valuable time, it teachea the kids some responsibility! This is an awesom tip for me because i alway have atleast 2 loads of laundry a day. By assigning days for specific people, it cuts down on the amount of loads i have. 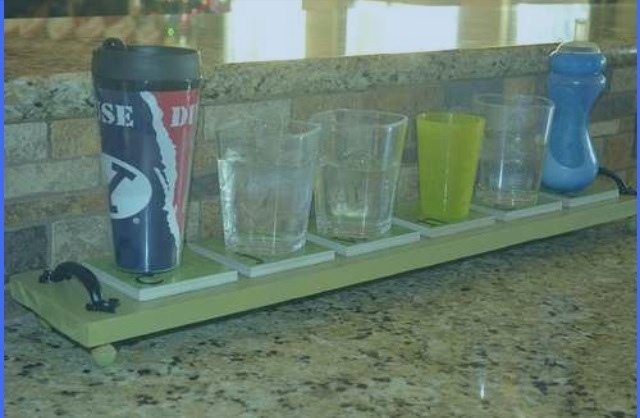 Make a tray with coasters! Assign a different coaster for each family member and set it on the counter. After a kid uses a glass, have tem ser it on their respective coaster. I think I'm gonna go get me some plain white tiles and customize them by writing my kid's names in sharpie and then curing in a 350 degree oven. That may actually keep them motivated to follow through with keeping up with one glass. 3. Click the link below for 10 Habits for a clean house. This is a good maintenance guide, so if u wait tol the weekend for the heavy cleaning, it may not be TOO heavy! 4. If you're tired of cleaning up nasty spills in your fridge, line the shelves with Press & Seal saran wrap. Then as something drips or spills, gather up the saran wrap and toss. Great way to cut down on crazy fridge cleaning. 5. To help keep things organized, I'm adding 2 new bins to my organziing arsenal. A "fix it" bin and a "donation" bin. My family is ALWAYS breaking something and I don't always have the time to fix it. I end up losin pieces and have to throw the whole thing away. But with the "fix it" box, I'll just throw the item in it until I have the time to repair it. Oh and the "donation" box. Great idea! My kids outgrow their toys and clothes so fast, it's overwhelming. I still find clothes that my 10 year old daughter wore as a baby when I'm doing laundry! And mu son gets boted with toys so quick, I have nearly new toys cluttering up the house and his toy box. With the "donation" box, I can just throw in the outgrown clothes and never used toys and once a month bag or box them up and set off for Goodwill or a donation bin they set up in parking lots! 6. I have quite a collection of beer bottles and salsa jars that I swear I'm gonna find a use for. I'm the same way with those large plastic yogurt containers. To use the plastic containers as organizing receptacles, just remove the ink with a rag soaked in pure acteone. This will remove the ink and then you have a blank canvas for customizing! GENIUS!! 7. Wanna get that nasty sticky film off of your small appliances? Use cream of tarter mixed with a few drops of ol H2O and scrub off! Source: unknown/ unfortunately, I didnt come up with this one. 9. I'm a list chick! I LOVE lists. I make a list for just about everything and cleaning is no exception. You can even mix and match these checklists by copying and pasting the chores you find the most useful and making your own. Microsoft Office has checklist templates or create ur own on your computer's notepad. 11. Get that house organized! You'll be amazed how much cleaner it stays! Here's a good website to get you strted in the right direction. It's definitely something you have to commit to but if you do, the rewards will be PRICELESS! And there you have it folks. This is just a list to get you started. I believe in the natural cleaning power of baking soda and vinegar. These products are super cheap and non-toxic, PERFECT if you have small kids and pets. And you can find a TON of cleaning sution recipes on pinterest.com or by searching the web. Now that I've finished this post, and it really took me 2 hours to complete since my laptop is out of commission and I'm using my fab iPhone 4S, I'm gonna hit the thrift stores for some organizing receptacles and get started on my own crazy messy house. I appreciate the effort of sharing this to us.